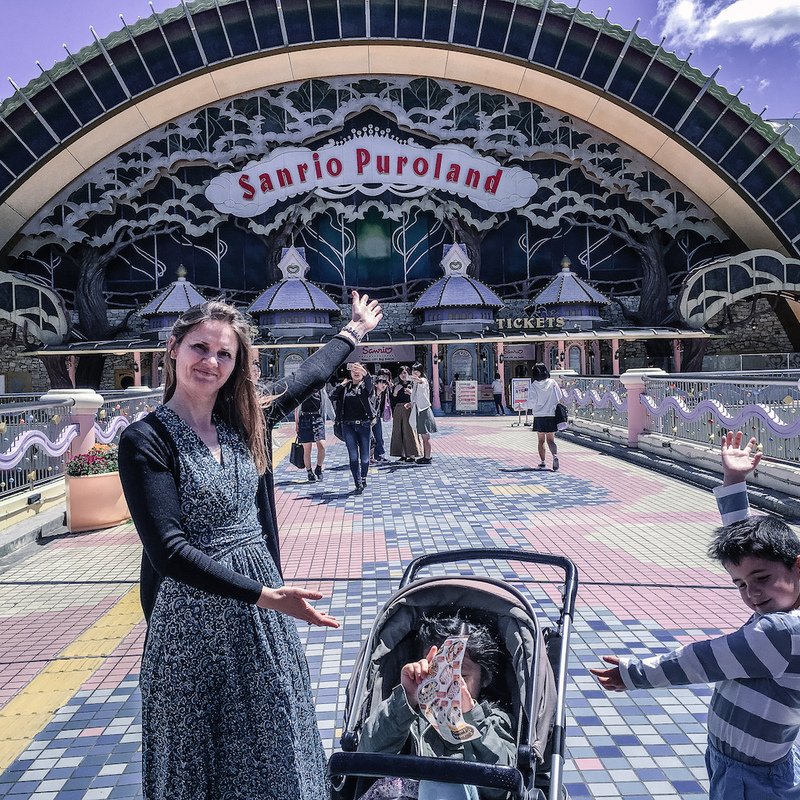 Do you plan to visit Sanrio Puroland with your baby while you are in Tokyo? It is alot of fun!! 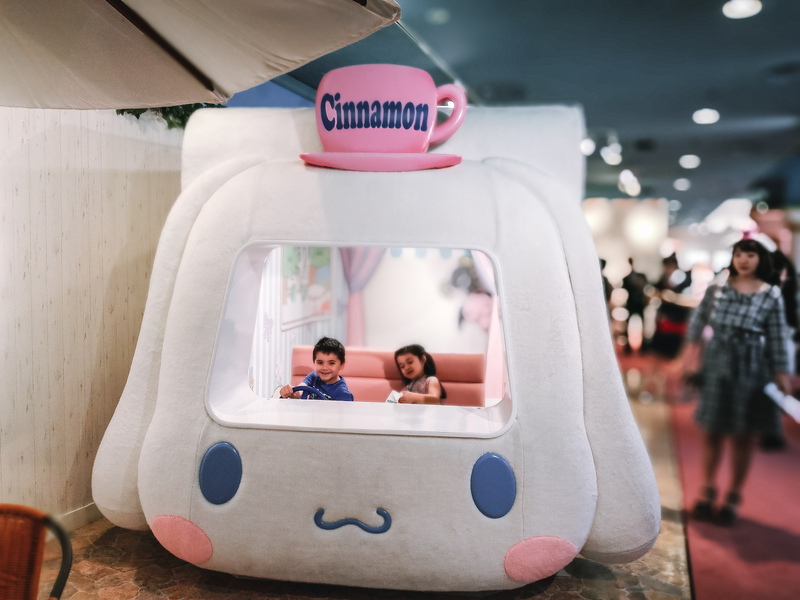 If you and your children love Hello Kitty and all the cute Sanrio characters, it is a fabulous place to visit. 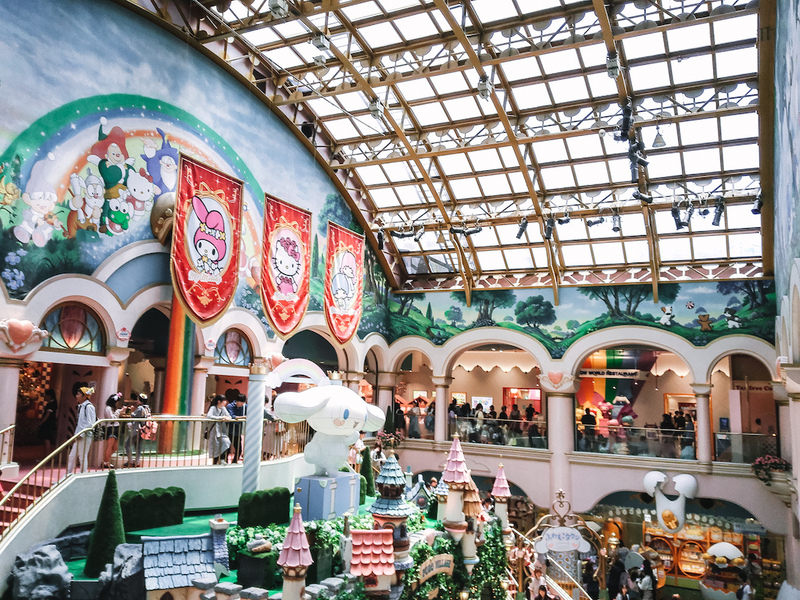 It is kind of similar to Disneyland , but Sanrio Puroland is about half the price of Disneyland and it is on a much smaller scale than Disneyland and is purely just about the Sanrio characters. 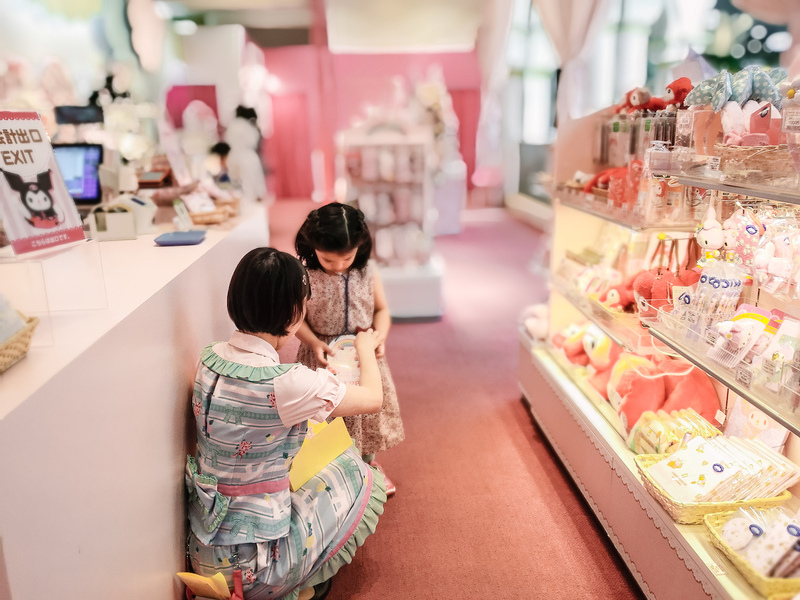 I also noticed that the visitors were mainly mums with toddlers, or young adults who love Hello Kitty. I didn’t see so many older kids. Perhaps they prefer the roller coasters and rides at other theme parks? I think it truly depends on how much you love the Sanrio characters! The queues for the rides were quite long by 10:30am. 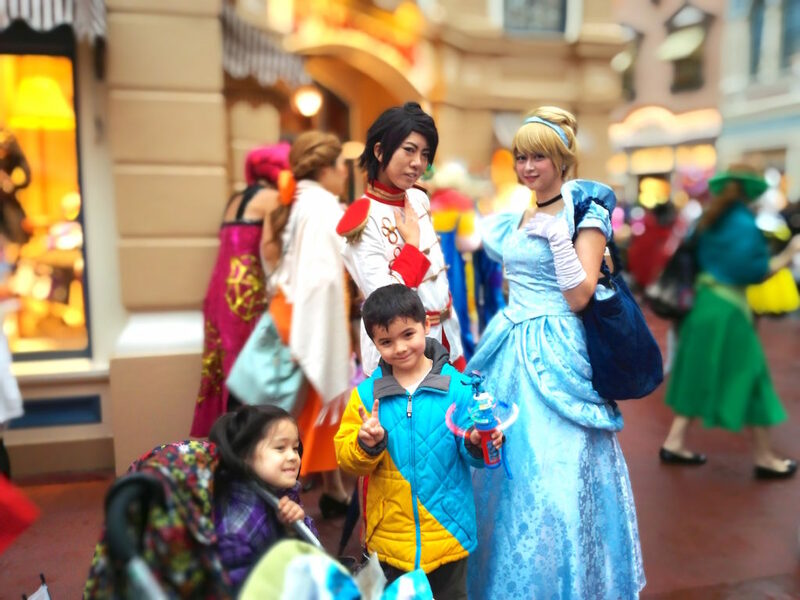 So if you would like to enjoy the rides and not line for too long (as in my experience it is very difficult to entertain toddlers while lining up!) it is highly recommended to arrive when the doors open and perhaps go straight to the rides first. 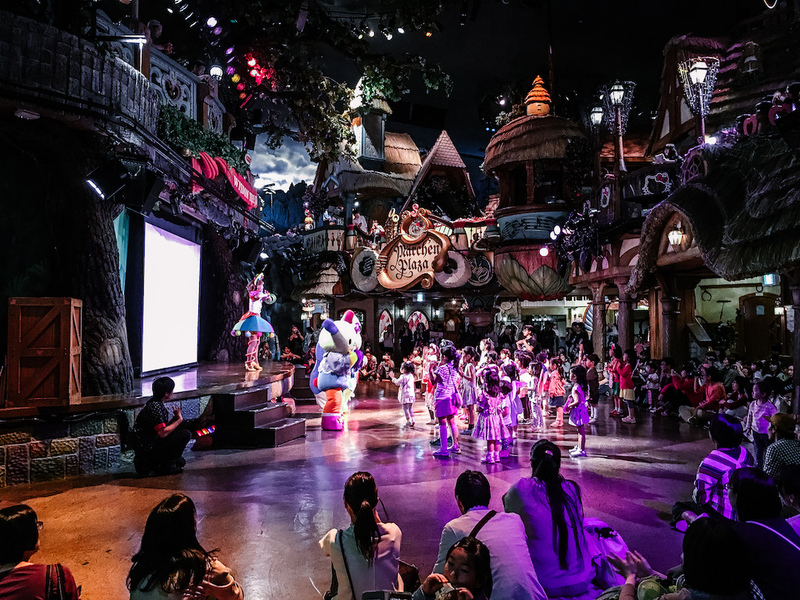 There is alot of entertainment and shows in Sanrio Puroland, which start from about 10am. It was my daughter’s birthday and they had a super cute show for all the birthday kids. If your child is not too shy, he/she can go up the front and join in the show with all the other kids who are celebrating their birthday. If it is your child’s birthday, make sure you go to the information booth (to the left of the entrance) and they will give your child a special sign that your child can carry. This way, wherever you go, the staff of Sanrio Puroland will say happy birthday to your child and give him/her a sticker. Super cute! It really made the day extra special for my daughter. The cafeteria opened quite early, and it was still empty at 11am! 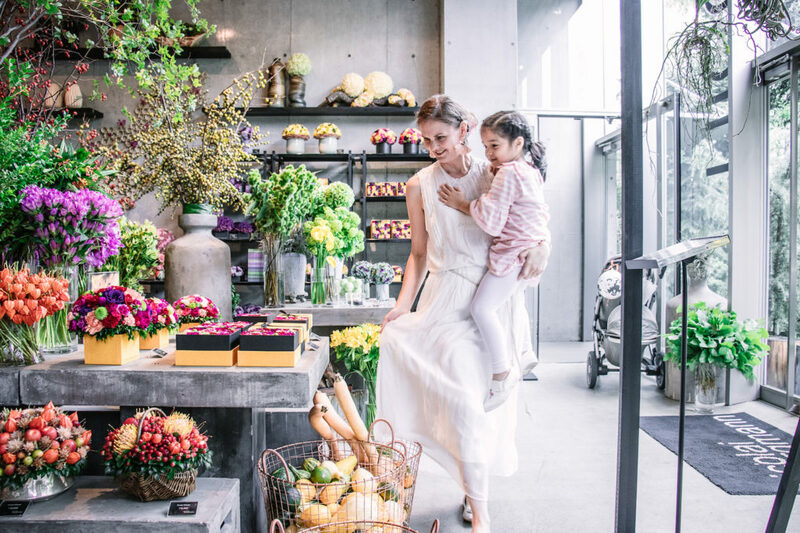 If your children have been up since the crack of dawn, then they will probably be hungry and ready for brunch/early lunch. This is honestly the best time to go (at about 11am) to have lunch and beat the crowds. 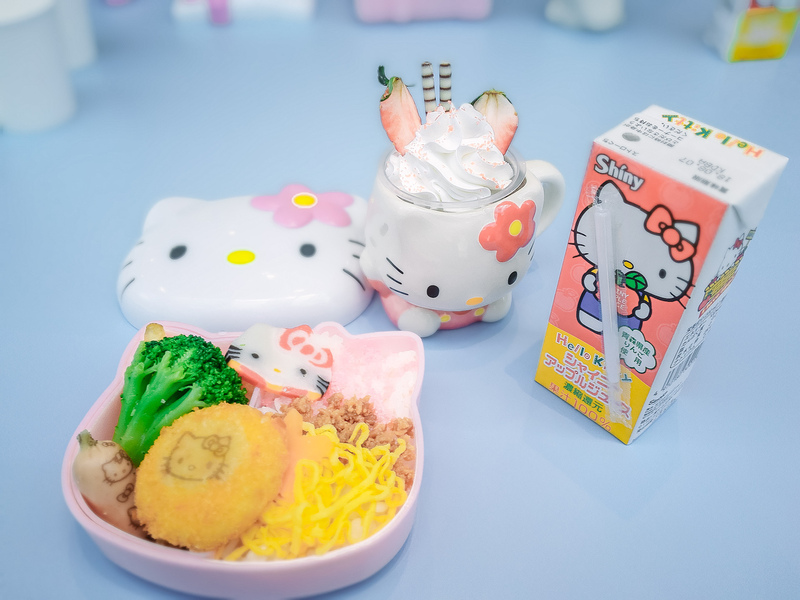 There are a couple of choices of restaurants (either cafeteria or buffet restaurant – Hello Kitty comes around to the table in the buffet restaurant). This was definitely one of the most popular activities that I noticed. People lined up for a long time to take a photo with Hello Kitty and all the characters! Make sure you check the schedule for when and where the characters will appear, and line up early if you want to get a photo before the queues start! The gift shop was awesome! Totally recommend buying some gifts here for your children, as they had alot of unique gifts that I hadn’t seen before. My mum bought a Hello Kitty kitchen set for my daughter and she absolutely loves it. It was very compact in a small bucket (so it was easy to carry home). Then when you open it up and put all the stickers on, it is fantastic and just like a real baby kitchen. Cute! 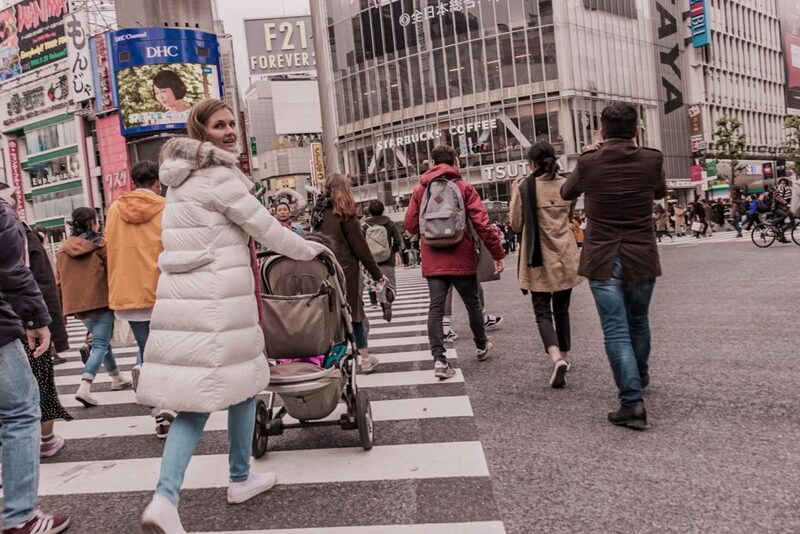 If you have a stroller, it is important to note that you can’t walk around Sanrio Puroland with a stroller. However, they do have a room where you can keep your stroller for free. It is located next to the information booth (to the left of the entrance when you walk in). But please note that they will ask you to take ALL of your belongings with you. So if you have winter jackets or bags, they will ask you to keep them with you. I think this is because they don’t want to be responsible if anything falls out or goes missing. So it is good to keep in mind to try to keep your belongings minimal when you go here! Otherwise you will get exhausted trying to carry everything around. There was a special duty free counter on the 2nd floor (above the entrance), so highly recommend to go and ask for details if you are traveling here and would like to get Duty Free. I was initially worried that it would be too far to walk from the Tama-Center train station to Sanrio Puroland, but it was easy! The station is completely decorated with Hello Kitty, so it is really cute. And also there is a clear map and path to walk to Sanrio Puroland. 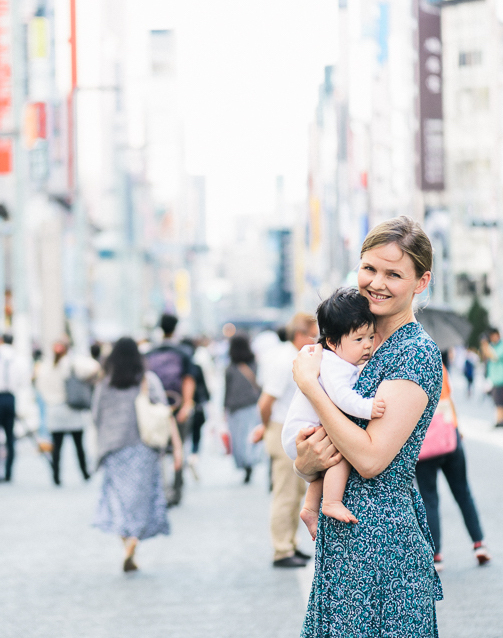 On the way I saw a huge Ito Yokado supermarket on the corner, so this is a great option if you need to buy diapers or baby food or any essentials. Sanrio Puroland has alot of baby facilities, including a baby nursing room. The baby nursing room and diaper changing tables were located on the basement level (close to where the shows are held). You can also buy baby food, baby formula and diapers at the Information Counter on the 1st floor. 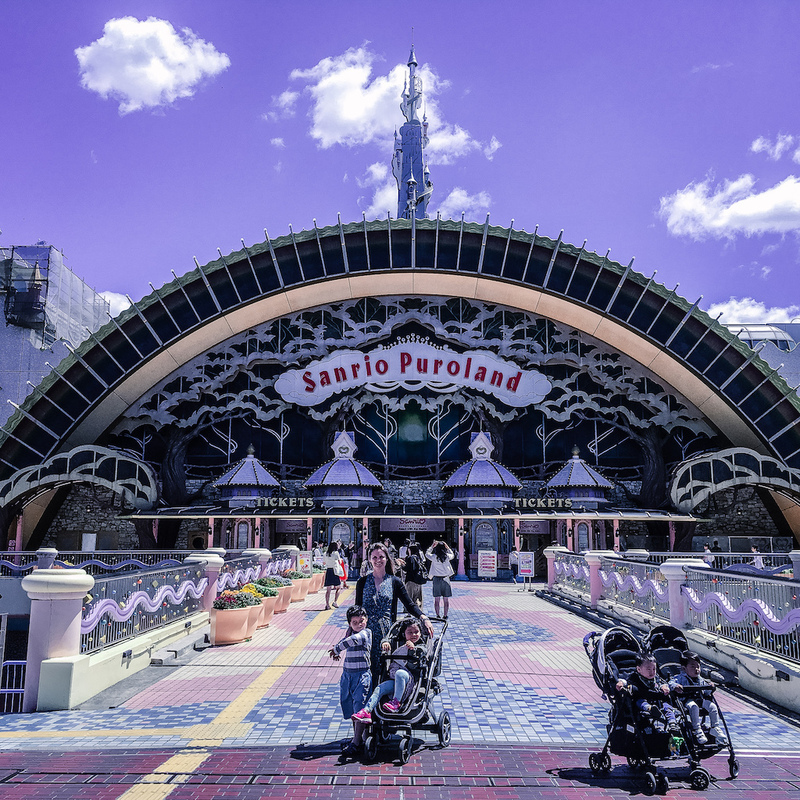 Welcome to the entrance to Sanrio Puroland Tokyo! It is located just a few minutes walk from the train station. My daughter received lots of cute stickers because it was her birthday! I hope this guide for Sanrio Puroland helps you to have a great time there with your baby! 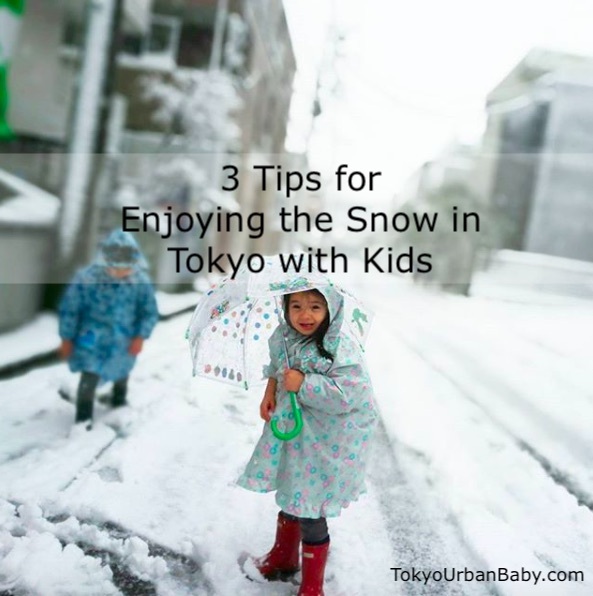 For all my tips for enjoying Tokyo with your baby, make sure you buy my Tokyo Guide! Should we buy tickets beforehand?